I’m in my early 30s and I’ve been playing pokemon games, on and off, since the original Red/Blue game came out back in the mid 90s. 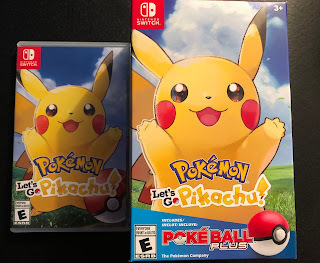 I’ve recently picked up the latest iteration, Pokemon Let’s Go Pikachu and found myself struggling to get into it. Are my Pokemon Trainer days behind me? Throughout the years, the game received some tweaks and improvements. Most notably is the changed from 2d sprites to a fully 3d environment with the introduction of Pokemon X/Y in 2013. It was, admittedly, long overdue and what the series needed to still feel fresh. A few iteration of that later and we now have a beautiful rendered world on the more powerful Switch. The problem is with me. I’m no longer part of the demography that Gamefreak is targeting with their games… I actually haven’t been part of it in a long time but I would still manage to find some enjoyment in it all. Now, alas, it is somewhat gone. I’m not saying I won’t play through it. I just have a bunch of other, more interesting, games to get through prior to picking this up. Pokemon, sadly, is now at the bottom of my list of games to play. If you have a kid, however, this is sure to peak their interests.